SOLD. 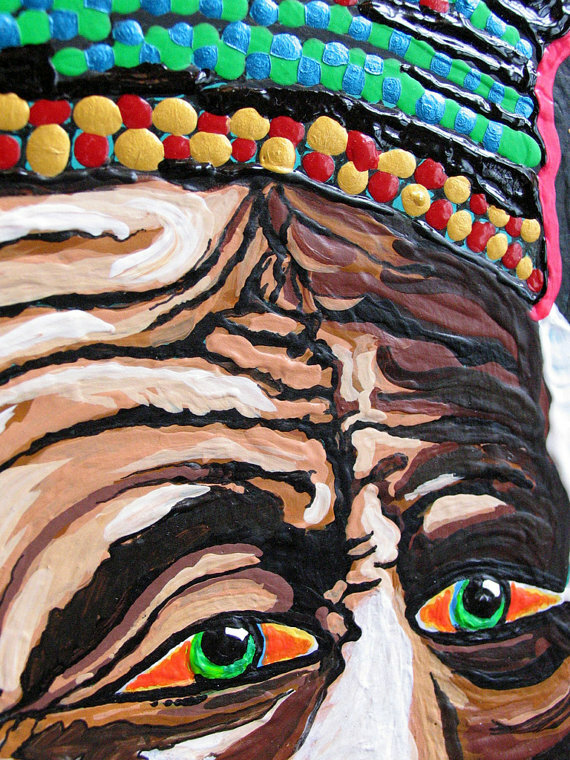 This original contemporary painting is titled Wisdom. At 16" x 20". 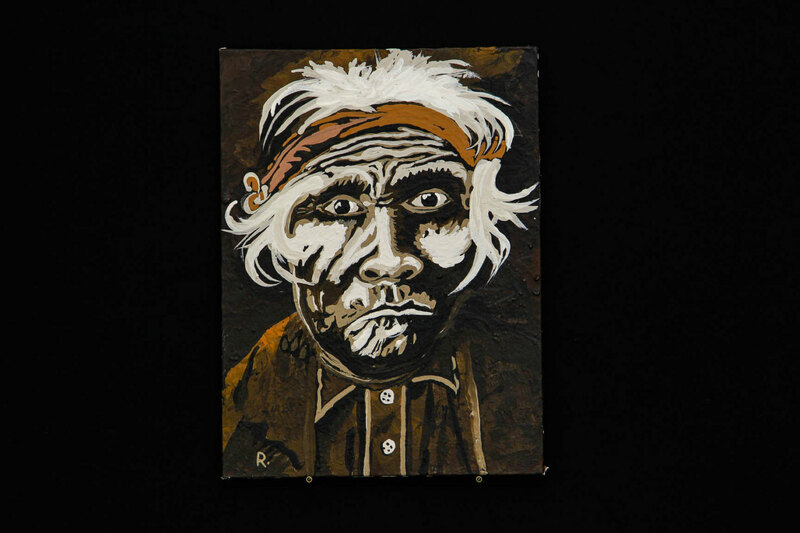 This brightly colored, acrylic painting on stretched canvas with painted sides is an adaptation of a historic photograph from the early 1900s. At the turn of the 20th century, Edward Curtis documented the lifestyle of Native American peoples of the American West. 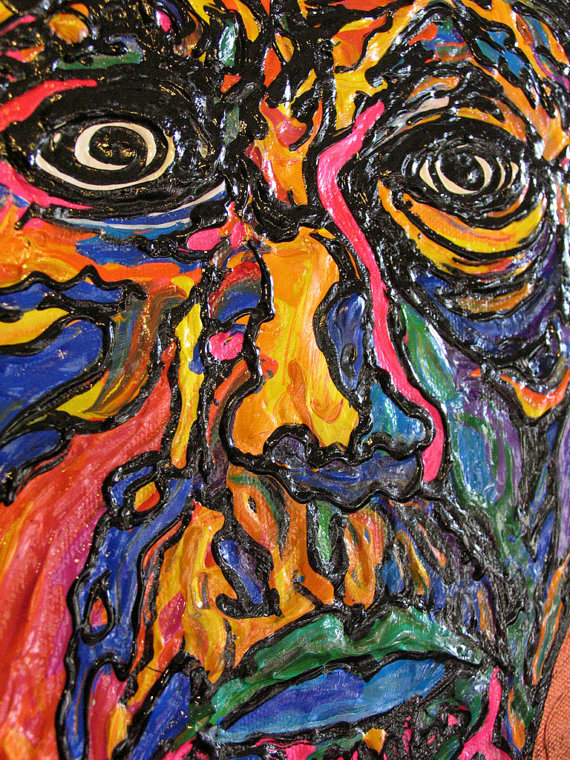 His close-up, historic portraits inspire this work. 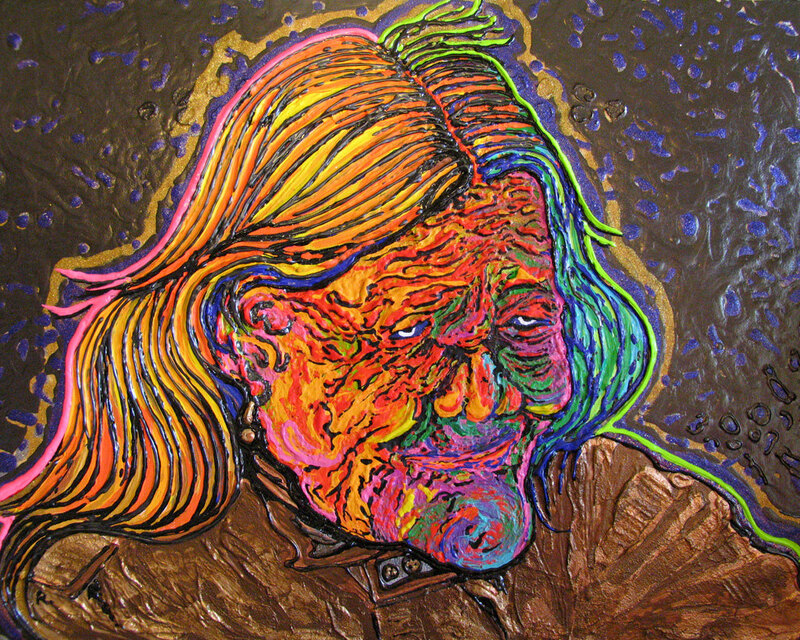 The subject is a Native American matriarch. SOLD. This contemporary painting is titled Boxed In. 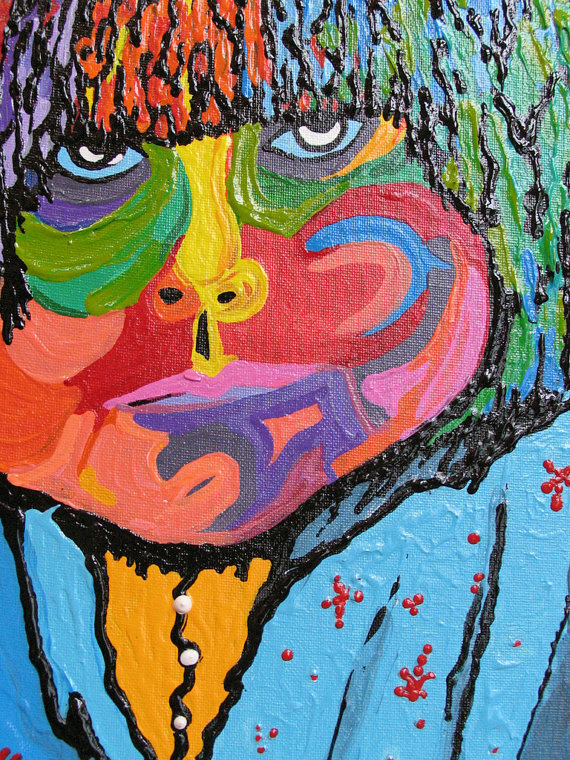 It is an 9" x 12" acrylic painting on canvas board. 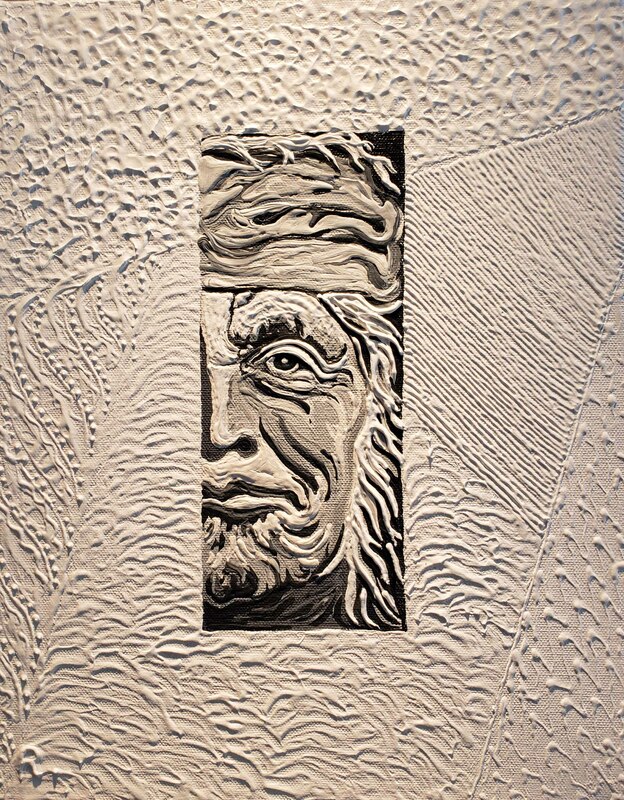 The painting is of a Native American Indian Chief photographed by the talented Edward S. Curtis in the early 1900's. 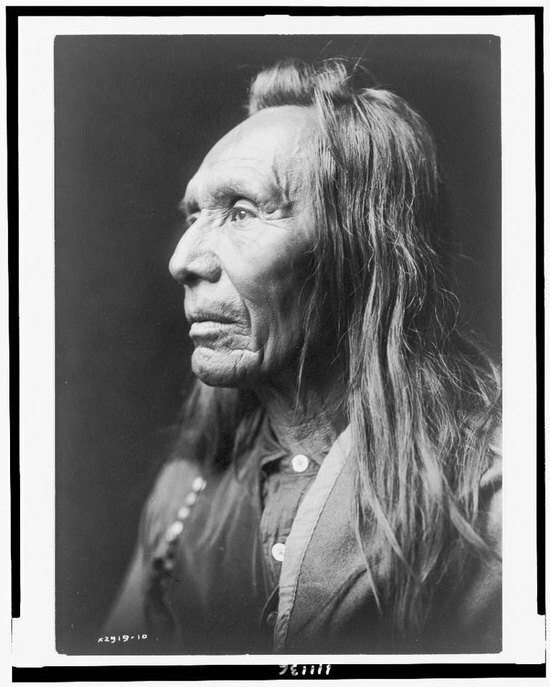 At the turn of the 20th century, Curtis documented the lifestyles of Native American peoples of the American West. 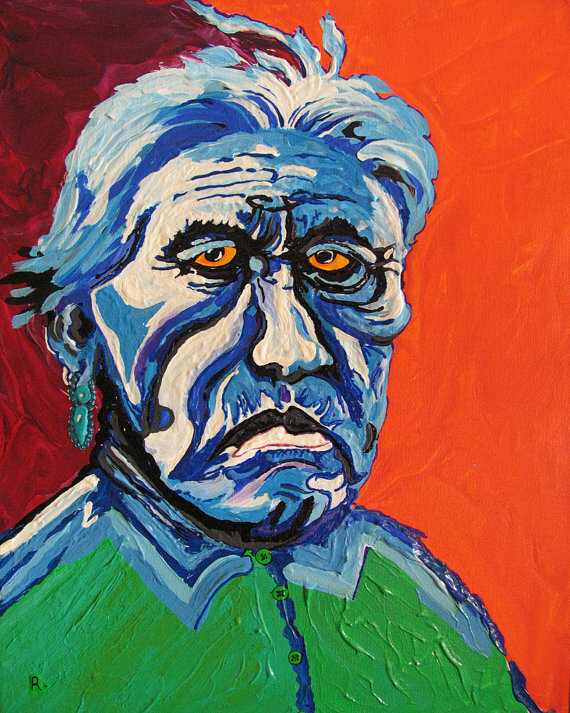 His close-up, historic portraits inspire this brightly colored work. SOLD. 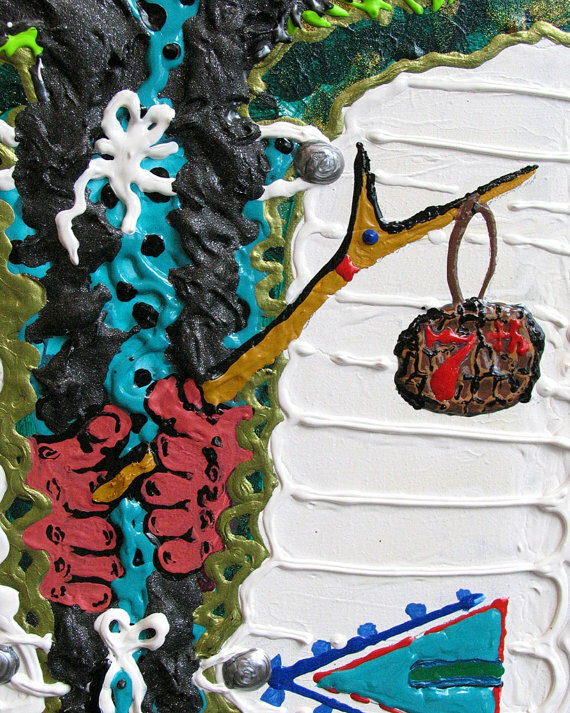 This contemporary painting is titled The Prize. 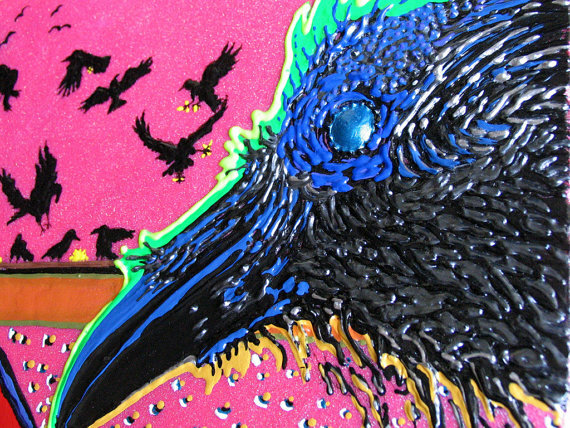 This is an 8" x 8" brightly colored, acrylic painting on canvas board of a Crow holding a prized seed in its beak. This painting has a slight bend to it that occurred while drying. However, the bend will flatten when framed. 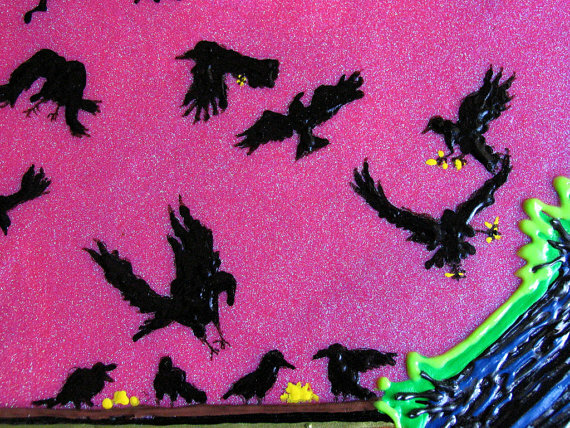 The crow is mostly green with bright splashes of purple, orange, blue, red, and yellow. SOLD. 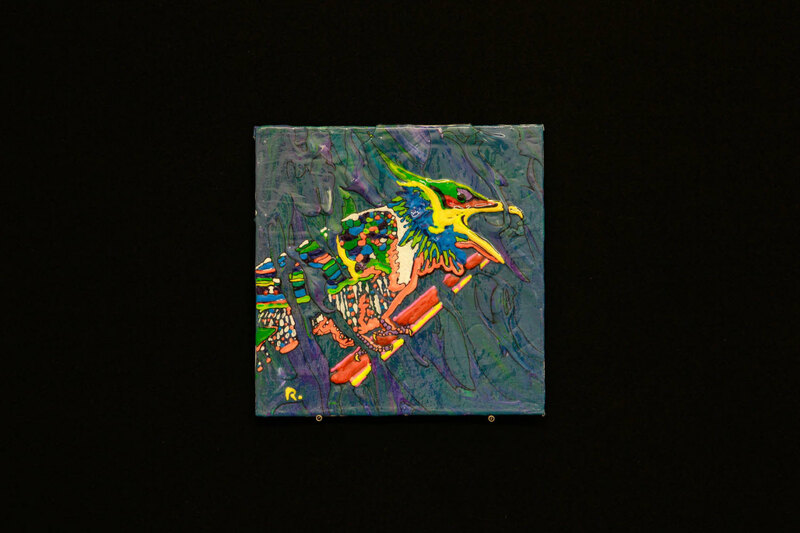 This original, contemporary painting is titled Squawk. 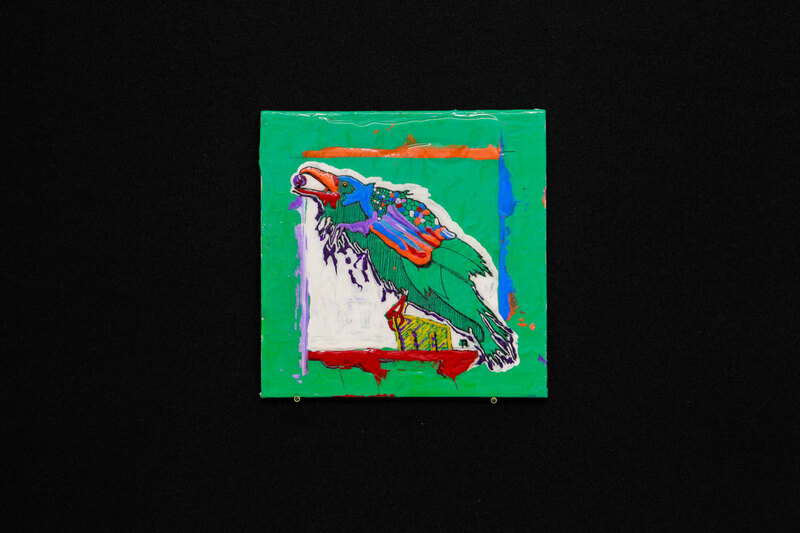 This is an 8" x 8" brightly colored, acrylic painting on canvas board of a bird. SOLD. 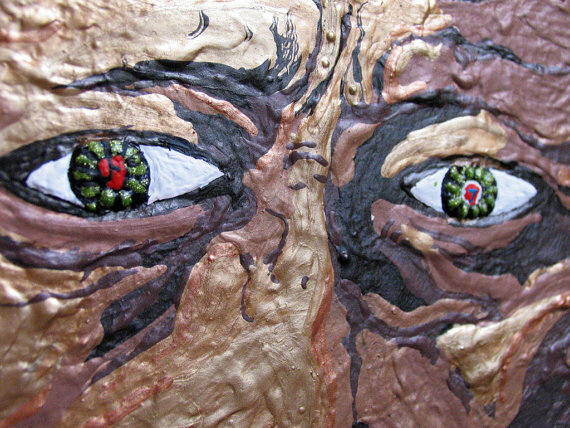 This contemporary painting is titled Crazy Eyes. 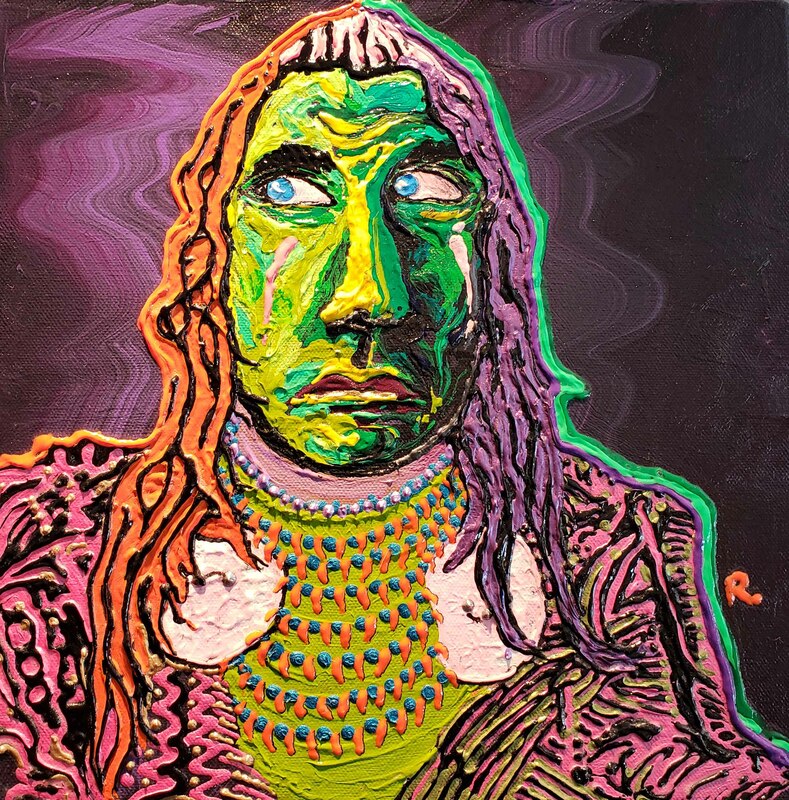 At 16" x 20", this brightly colored, acrylic painting on stretched canvas with painted sides is an adaptation of a historic photograph from the early 1900s. 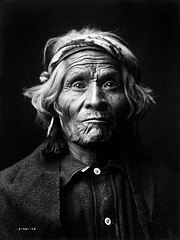 At the turn of the 20th century, Edward Curtis documented the lifestyle of Native American peoples of the American West. 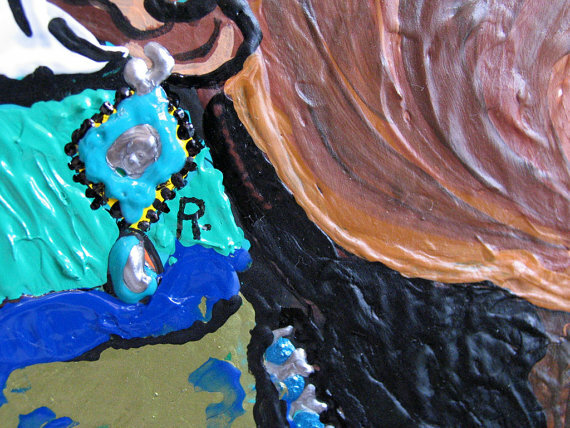 His close-up, historic portraits inspire this work. SOLD. 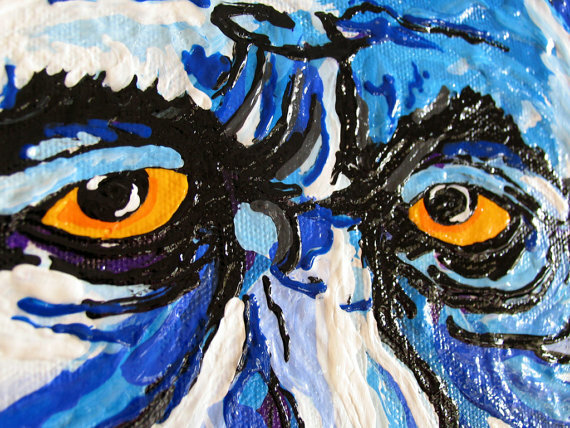 This contemporary painting is titled Blue Man. 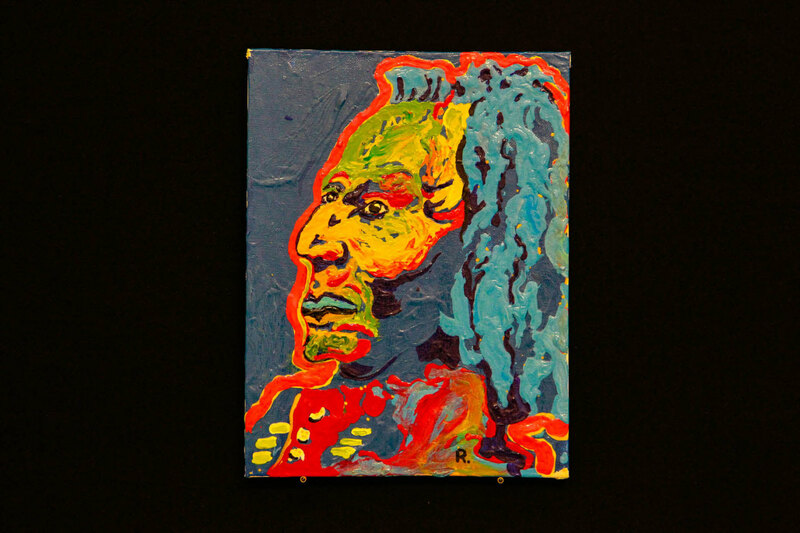 At 16" x 20", this cool, blue-green colored, acrylic painting on stretched canvas with painted sides on a 1/2" deep frame is an adaptation of a historic photograph from the early 1900s. At the turn of the 20th century, Edward Curtis documented the lifestyle of Native American peoples of the American West. 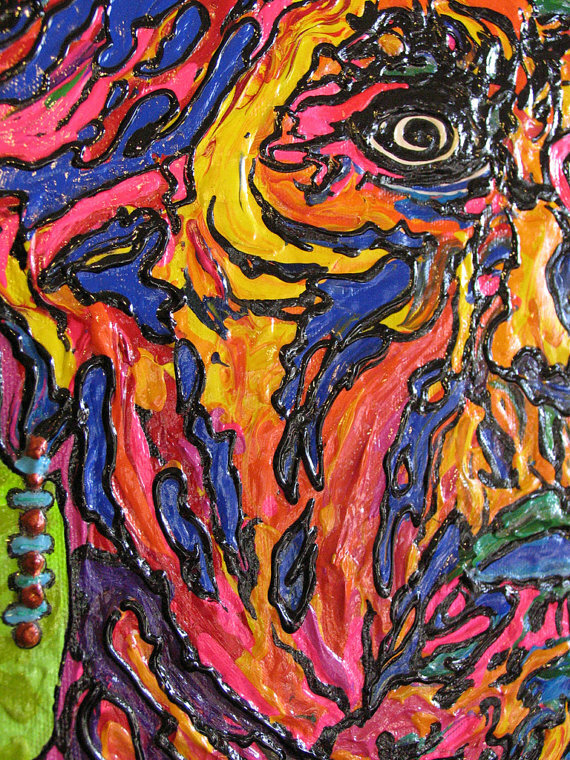 His close-up, historic portraits inspire this work. SOLD. 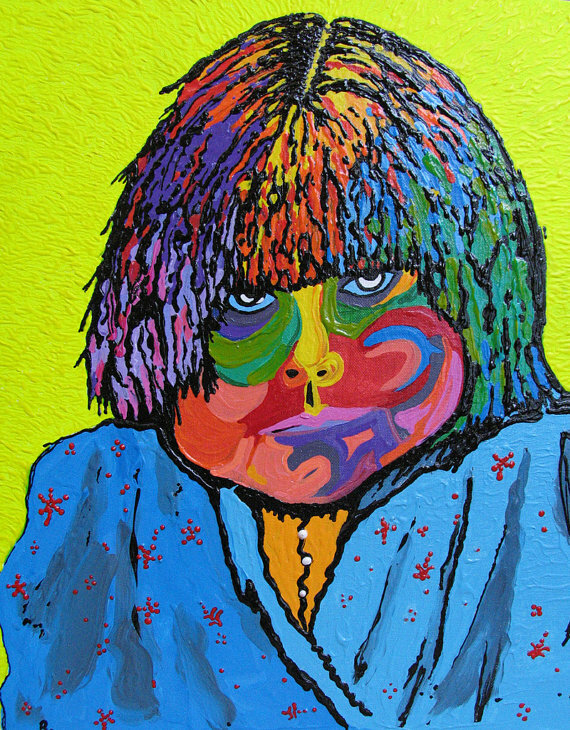 This painting is titled I See You. This is a 9” x 12” acrylic painting on canvas board. The painting is of a Native American Indian Warrior photographed by the talented Edward S. Curtis in the early 1900's. At the turn of the 20th century, Edward Curtis documented the lifestyle of Native American peoples of the American West. 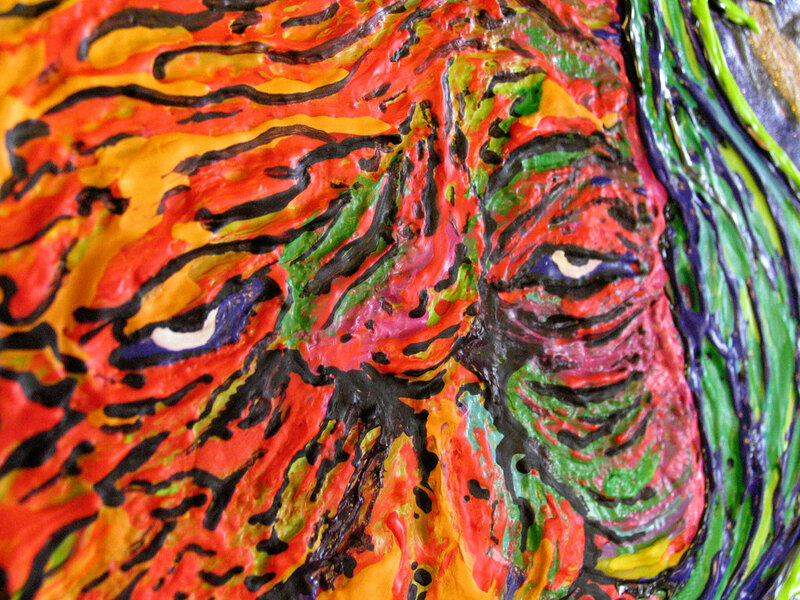 His close-up, historic portraits inspire this work. SOLD. 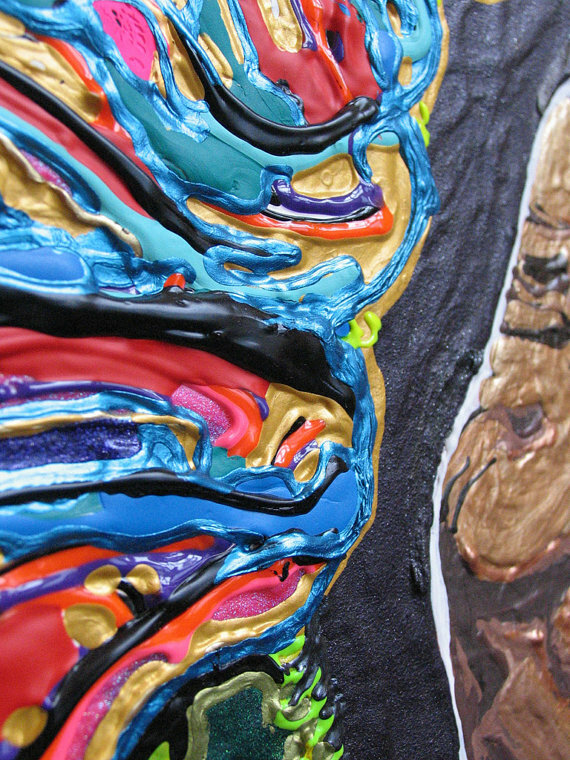 This contemporary painting is titled Trance. 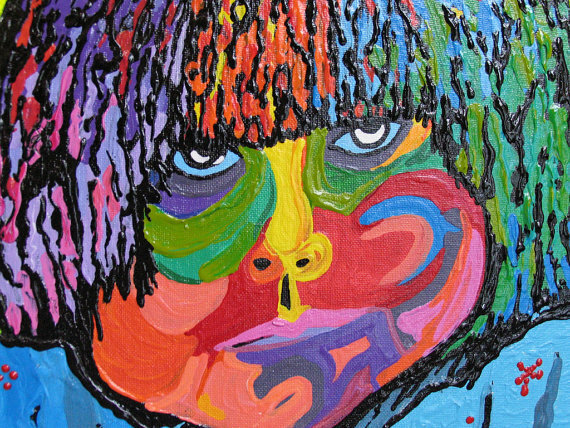 This is a 16” x 20” brightly colored, acrylic painting on canvas board. 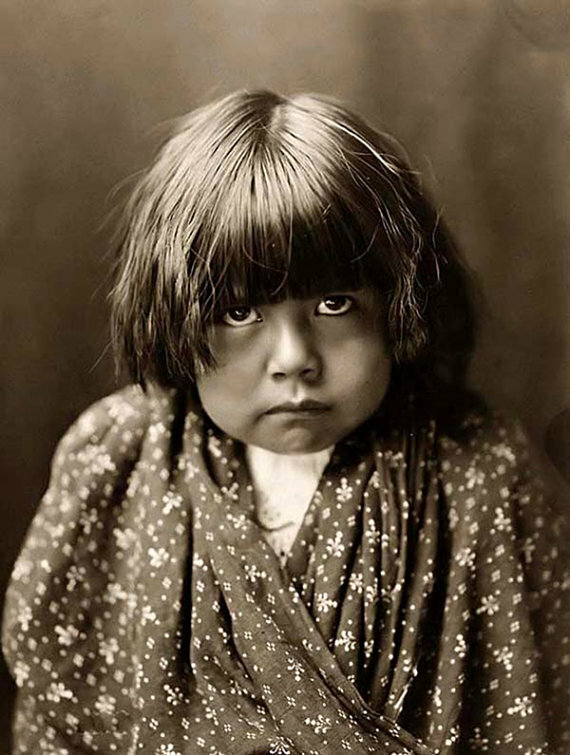 The painting is of a Native American Hopi Girl photographed by the talented Edward S. Curtis in the early 1900's. At the turn of the 20th century, Edward Curtis documented the lifestyle of Native American peoples of the American West. 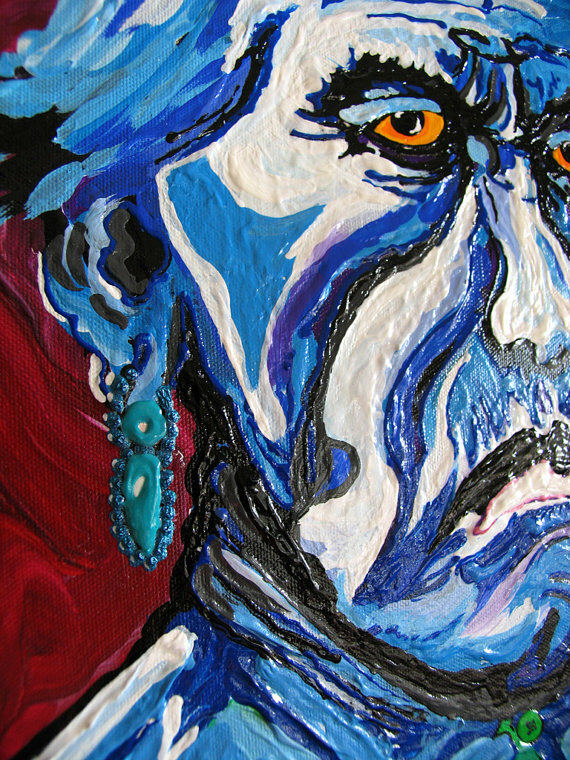 His close-up, historic portraits inspire this work. SOLD. 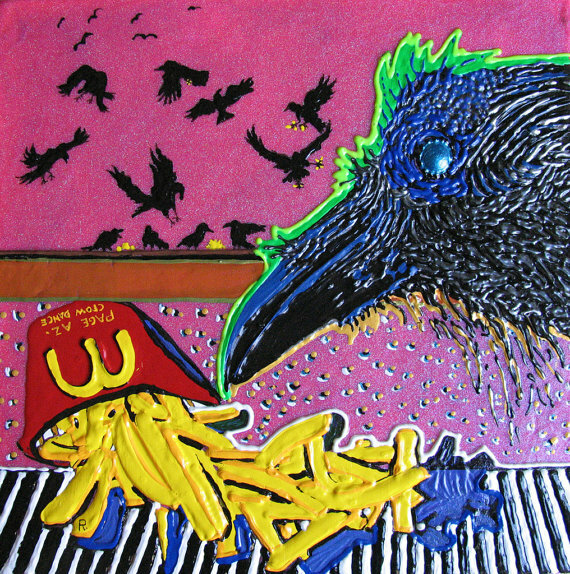 This original acrylic painting is titled Black Crows and French Fries. The gallery wrapped canvas measures 12" x 12" x 1.5" with painted sides. 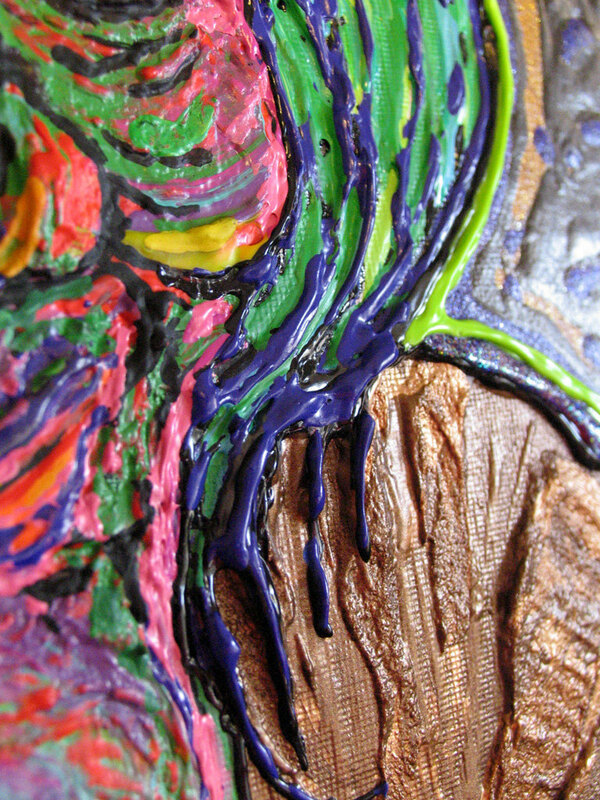 The painting uses textural acrylic paints. SOLD. 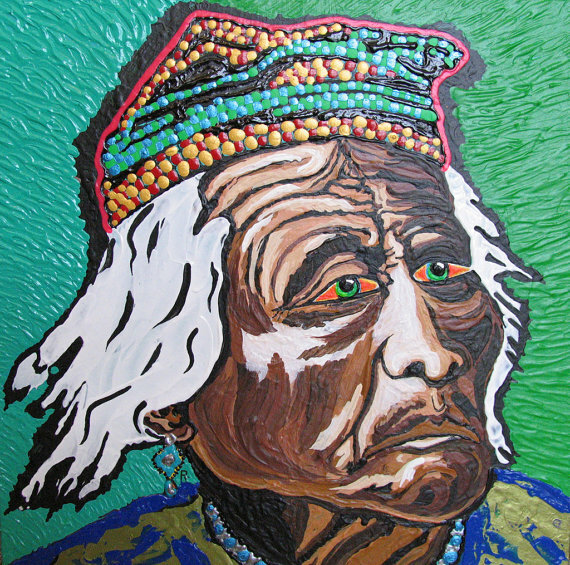 This contemporary painting is titled Indian Chief with Cap. It is an 12" x 12" x 1.5" acrylic painting on stretched wrapped gallery canvas with painted sides. 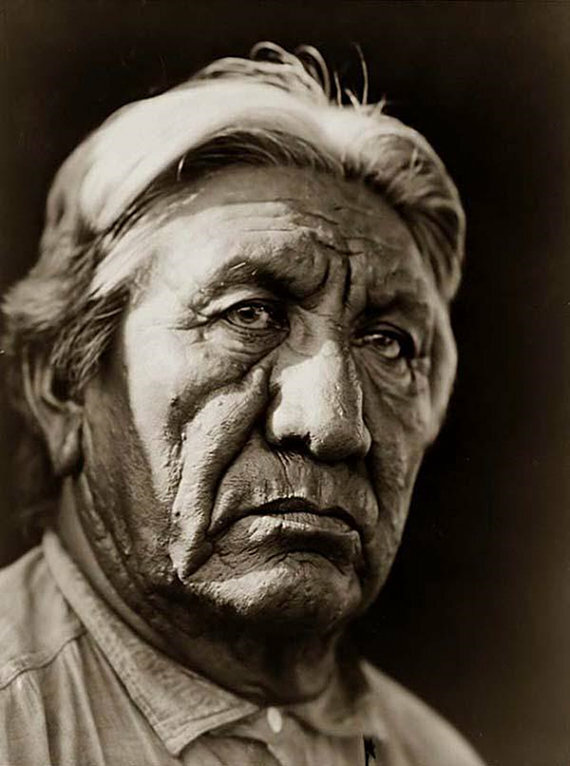 The painting is of a Native American Indian Chief photographed by the talented Edward S. Curtis in the early 1900's. 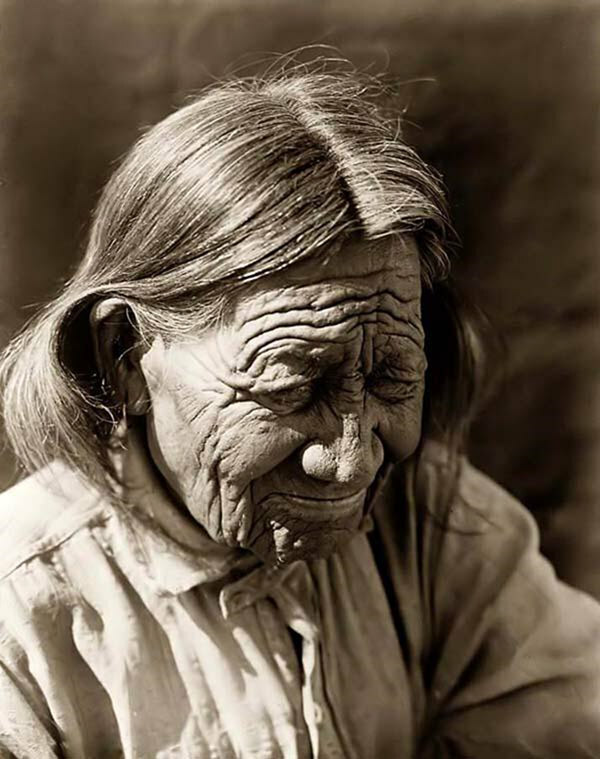 At the turn of the 20th century, Curtis documented the lifestyles of Native American peoples of the American West. 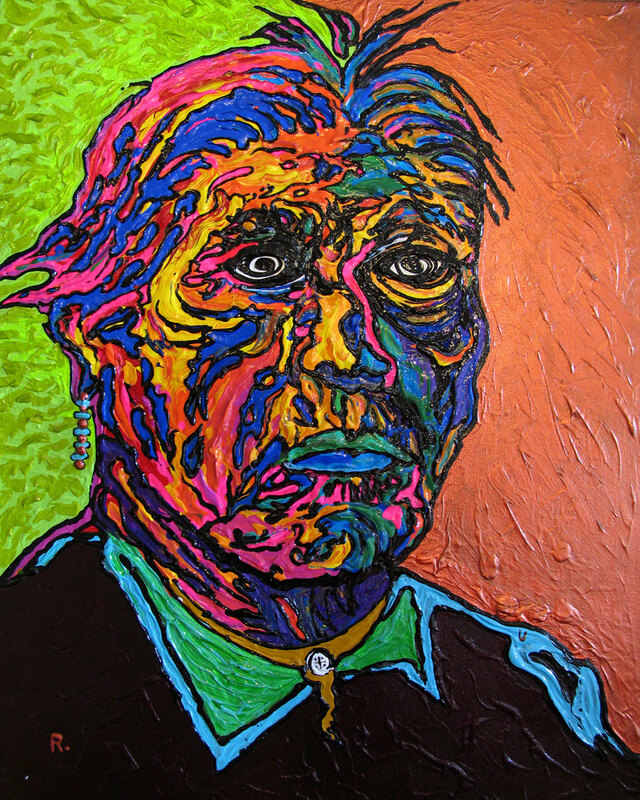 His close-up, historic portraits inspire this brightly colored work. SOLD. 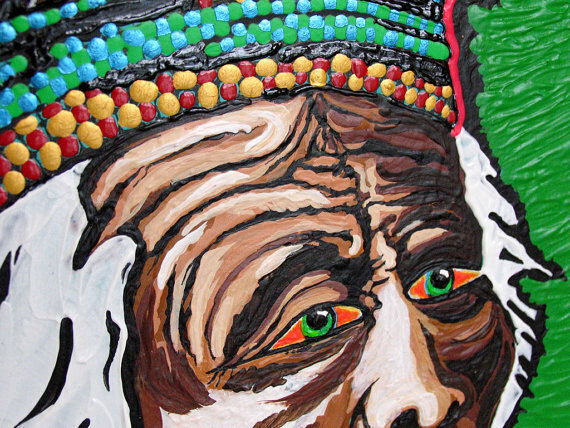 This painting is titled The Oldest Papoose. 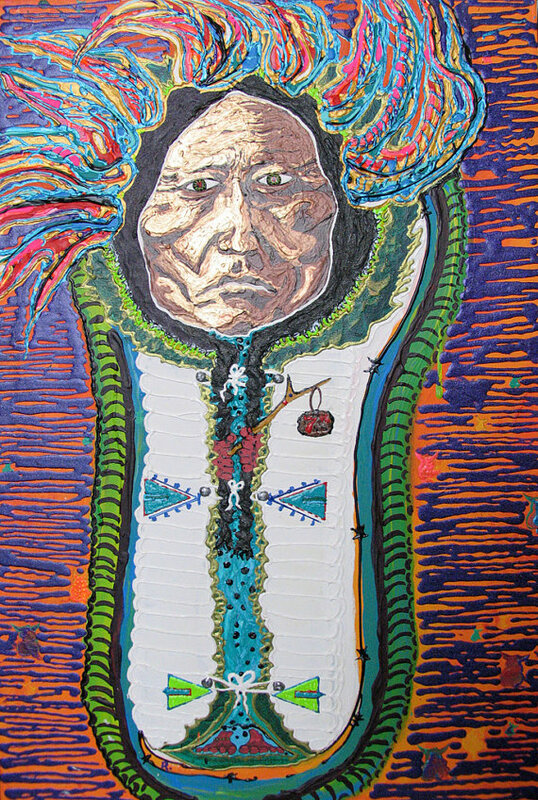 The painting is of the Indian Chief Sitting Bull in his papoose. 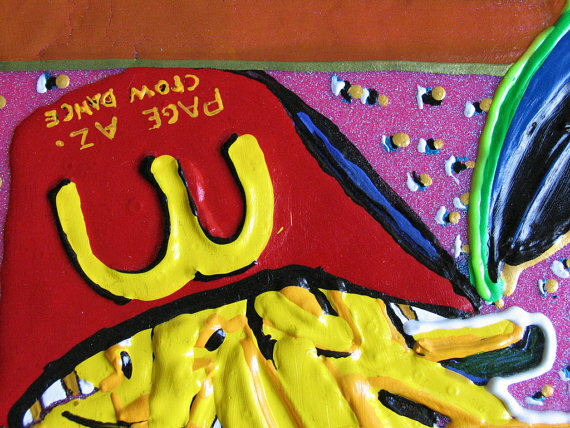 The painting measures 3' x 2' x 1/2" and is painted with textural acrylic paints. My world is all about respect: give it, get it. All images and work shown on this site are my personal property and are copyrighted far beyond the shallow limits of the law. These images may not—I repeat: may not—be copied or reproduced in any manner in part or whole without my written permission. Taking any images off this site or knocking off my work without my written permission shows a serious lack of respect for me and my creativity, which I don't take lightly. If you need something, Ask! Want to use a part of my design? Don't be a thief; grow some balls and ask. It’s really simple.